Ben Weeks worked in engineering through the Year in Industry/ETD gap year programme. I didn’t initially plan to take a year out before university, but it turned out to be one of the best decisions of my career. 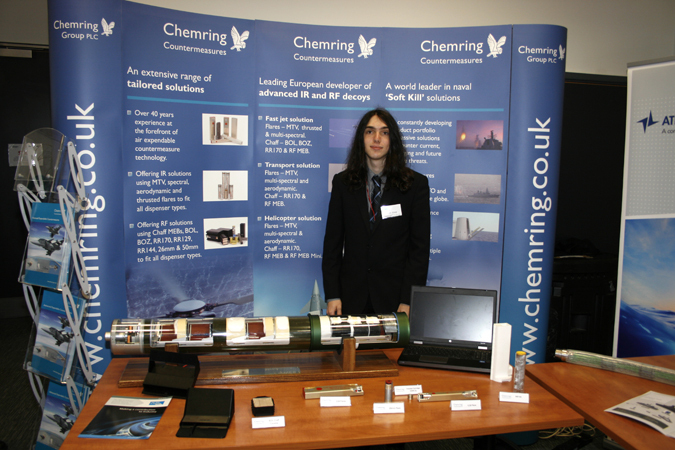 After not achieving the results I wanted for my A-levels, I made the last-minute decision to apply for the Year in Industry scheme – ending up working as a Production Engineer for Chemring Countermeasures Ltd in Salisbury, a manufacturer of non-lethal disposable countermeasures. 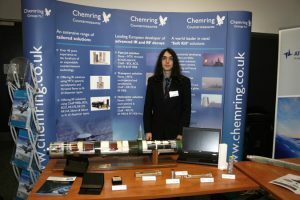 At Chemring, I worked as a Production Engineer – helping to design, develop and maintain the processes and machines used to manufacture the products. The team at Chemring was very welcoming and let me jump straight into the action, showing me round each building and department before setting me onto my own projects. During the year, I helped keep production running smoothly while also designing and making several new tools and jigs. One of my most significant projects involved replacing metal press-filling funnels – which were expensive and an ignition risk – with 3D printed electrostatic dissipative plastic funnels, reducing downtime, increasing safety and saving £135,000 per annum. Being able to make real differences like this not only increased my passion for the field of engineering, but competing in the YINI’s yearly Contribution to the Business awards (for which I was awarded the IET Prize for Innovation) showed that many other people have had a similar experience during their placement years, and that we students were seen as much more than just cheap labourers and tea-makers. The photographs below are of students on other Year In Industry (YINI) projects. How did I benefit from my experience? I firmly believe that I would not have performed as well during my degree had I not undertaken this year in industry. The extra perspective from being inside industry, and the experience that came with this, gave everyone who had been on a gap year a significant advantage both in terms of practical application of theory for projects, and a better work ethic for exams. Further to this, despite not returning to my placement company as I preferred not to relocate again, I was employed as a Design Engineer well before I’d even received my final grade. I’ve not known anyone to have been through this scheme and struggle to find employment afterwards. What were my financial arrangements? One of the most significant differences between this kind of industrial gap year and the more typically thought-of volunteering or travelling – both of which are also great experiences – is that you are paid a salary. While not being a huge amount, earning a full wage for the first time in my life helped me to become accustomed to independent living, paying bills and not relying on mum and dad for money. It also meant I could buy the essentials I needed for both work and university – namely a new laptop and a bike – and my left-over savings from the year meant I encountered far less financial difficulty at university than I otherwise would have. I would advise anyone to take a year out before university, especially if you’ve never lived away from home before. The amount of valuable experience which is thrown at you in bucketfuls will truly help you realise your potential, excel at university and be far better prepared for what you will encounter in life. Ben went on to receive a Master’s Degree in Mechanical Engineering from The University of Exeter and is now working in the area as a Design Engineer.